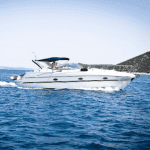 Are you looking to replace your boat flooring but are unsure of what you want? Are you undecided on what would be the best option for you, vinyl or carpet? 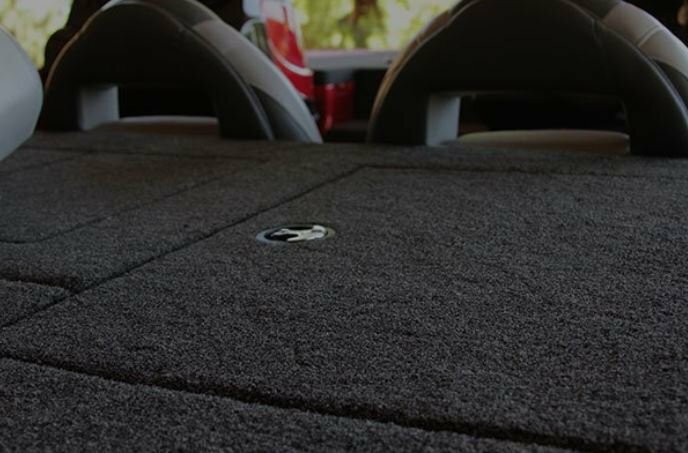 So many people want to redo or update their boat or pontoon, but don’t, simply because they are not sure what flooring to use. Both vinyl and carpet can be stylish and look really great. But which one of them would best fit your needs on your boat/pontoon? Carpet can be great for cruising and relaxing, while giving you a nice cozy look and feel. But, how easy is the carpet to maintain once it has been soiled? Cleaning may be difficult, especially since it can cause premature aging and shedding. You also need to treat your carpet to prevent mold and mildew because sitting water can cause an issue. Once you have mold and mildew growth, you will inherit stains with a terrible musty smell that will stay on your boat/pontoon. Carpet is also prone to discoloring and fading from sun damage. Once you have those weak spots from fading in your carpet, it can rip really easy, leaving you with a new repair job that can be costly. If you fish off your pontoon, you have to be extremely careful to not drop any hooks. The carpet can grab the hook and embed it without you realizing it, until you step on it. So be careful! Vinyl flooring can also give your boat/pontoon a nice flair of style. The vinyl flooring has many benefits to offer, such as cost efficiency. You can get the flooring in a variety of styles, colors and thickness, depending on your preference. It is easy to install, and will look amazing. The best part is the vinyl is slip-resistant, mold-mildew resistant and very easy to clean. You would just spray off any dirt, dust or spills with your water-hose. This is ideal for all boats/pontoons, even fishing boats! Just spray your fish remains right out of your boat with no staining or issues! You can install vinyl flooring on any boat, no matter if it is wood, aluminum or fiberglass. You will be amazed at the difference it makes in your boat/pontoon. Take a look at our website, boatcoversdirect.com, to see all the styles, patterns and colors we offer in vinyl flooring. If you would like to receive sample swatches via mail, simply contact us! Next: Fishmaster T-tops: Comfort and Convenience – just how you need it!